Pour out all of the chips and lay them flat on a table. 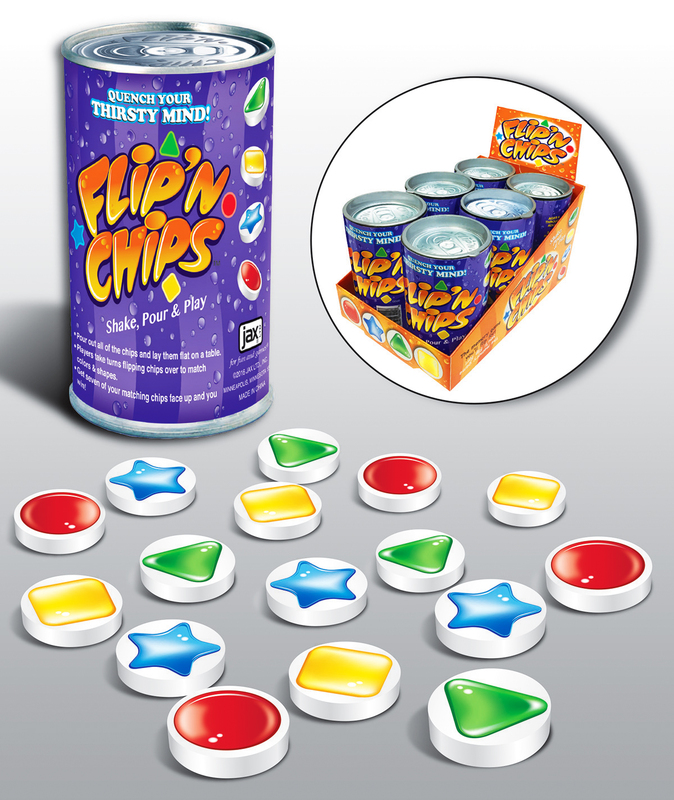 Players take turns flipping chips over to match colors & shapes. Get seven of your matching chips face up and you win!